A Logging Company contracting to a water authority in the Macedon Ranges (VIC) was needing to traverse with large 40t machinery over a sensitive area that had historical Aboriginal artefacts on the surface. These artefacts were identified by the original local Aboriginal custodians, who requested for their protection. The Logging Company reached out to Envirex for a solution. After some consultations on soil types, machinery weights and dimensions of roadway required, Envirex recommended a VERSADECK® roadway that was 5.5m wide to allow enough manoeuvring room for the equipment on site. The unique nature of VERSADECK's® flexible composite material provided a roadway that would conform to the shape of the ground, whilst protecting the sensitive surface. The Logging Company found a solution that not only allowed them to continue harvesting trees, but reduced their footprint to protect an Aboriginal Historical Culture Area. 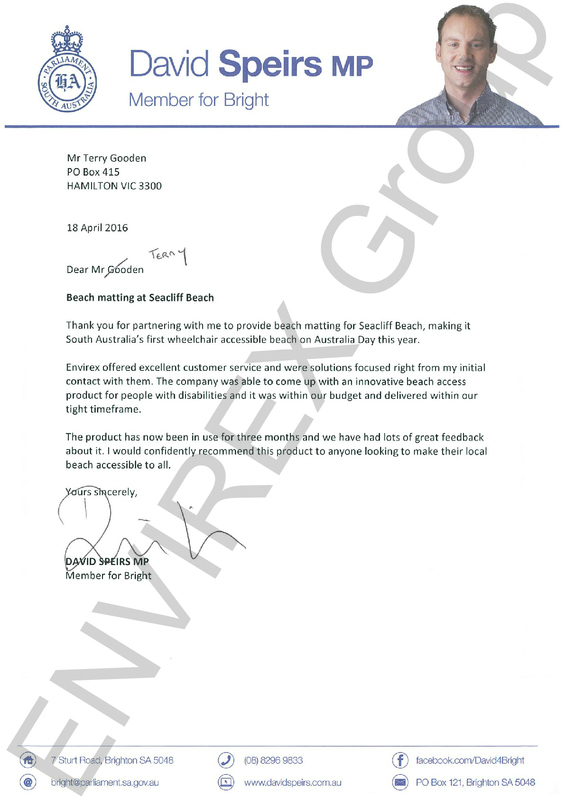 A local Member of Parliament in South Australia who worked along with a local Surf Life Saving Club wanted to provide access to the waters edge for residents in wheelchairs, and with other mobility aids. With a tight two (2) week dead line for delivery, we got to work straight away. This was a concept we had been thinking about for nearly two years, but had never manufactured a complete pathway. 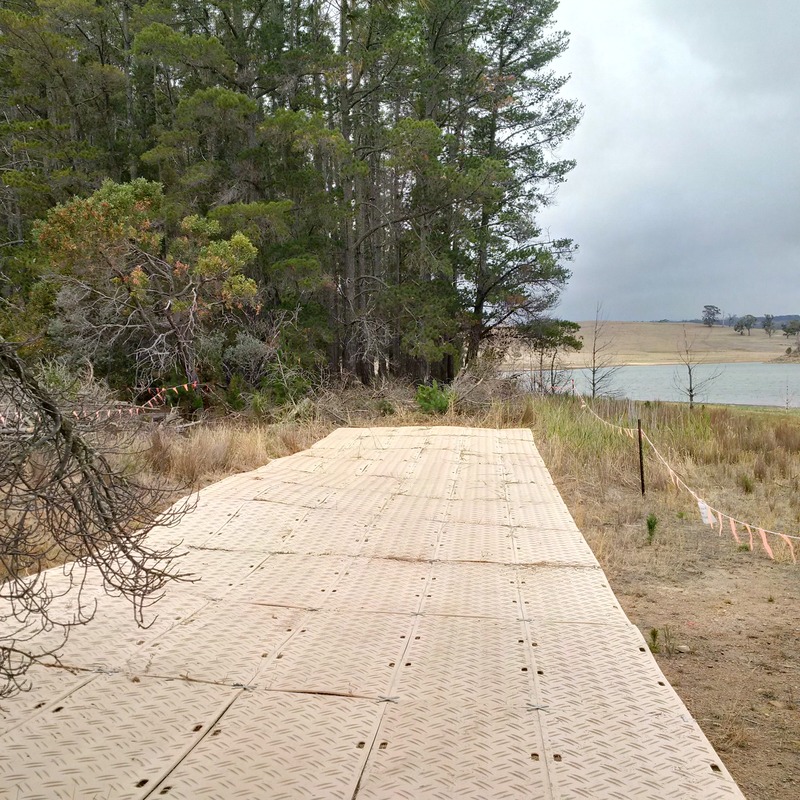 The 75m pathway was manufactured 'in-house', and was personally delivered and demonstrated on the day prior to their Australia Day Official Launch. The Member of Parliament and the Surf Life Saving Club were able to show their support to the community by providing equal access for all. They were thrilled with the great response from the public. See below for the testimonial we received from the Member of Parliament. A coastal council in South Australia was contacted by their local boating club as they were having difficulty accessing the ocean to launch their boats. The sand was very fine, and 4WD's towing boats were getting bogged. The council mentioned that they had also had a large 4WD tractor get bogged, and sink over 2 metres into the dry sand! The traditional method the council had been using was a type of hard clay pushed out over the dry sand. This hard clay was continually washed away during high tide, and the EPA had warned them that this practise was no longer acceptable, as it was introducing foreign material to Australia's foreshores. The Council approached Envirex with their predicament in mid - late December 2015, and expressed their need, and mentioned that they needed a solution installed by Christmas time. Envirex suggested various solutions, with a VERSADECK® roadway being the choice as it best suited their budget. 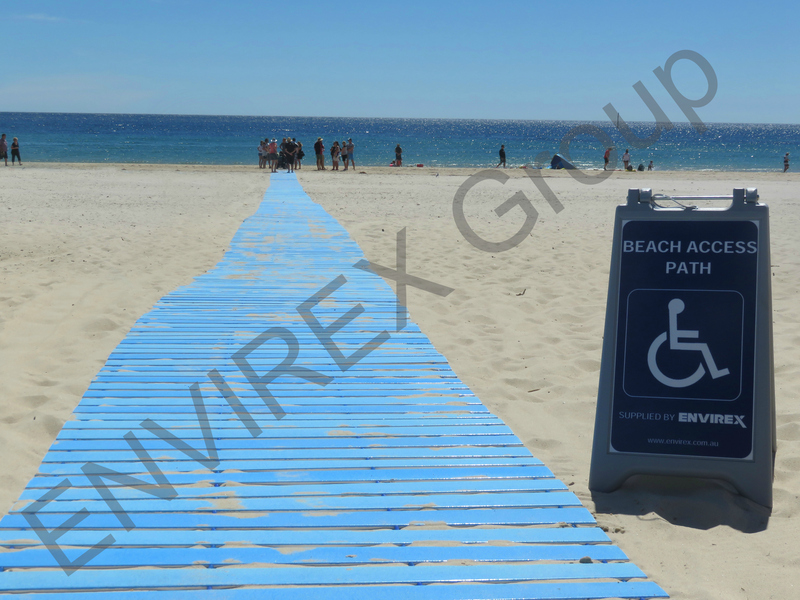 With 4 day's notice to have the temporary boat ramp installed, Envirex promptly had all the materials and accessories required arranged, and installation was completed the day prior to Christmas. Large stainless steel screw anchors were designed and manufactured in-house to secure the boat ramp in place during the summer months, and to prevent theft. The natural beige colour of VERSADECK® blended into the coastal environment well, whilst being easily identifed as a boat ramp. The Council was extremely impressed how quick and easy the VERSADECK® temporary boat ramp was to install and remove, and how well it supported the vehicles towing boats to the water's edge. A user of the temporary boat ramp recently mentioned how much hassle it saves, and how easy it is to launch his boat now without getting bogged. Attached are the photos of our crane borer rather stuck. In the photos you can see prior to the bog mats being used, the crane once bogged was winched using the hydraulic winch for 120m. But with the ground having no bottom and the diff housings dragging the crane was not going to come back up easily. After breaking recovery chains & several hours trying to recover the crane the recovery was abandoned until the next day when we returned with our VERSADECK® bog mats and had the crane recovered in under two hours. Once the crane was on the mats we simply drove the crane over the swampy ground out to the road. This allowed the crane work to be completed & the next stage of the project could be undertaken.